How much did you spend on food last week? If you do the math, you may be surprised by how big the number is. This Queer Money™ will help you save money on groceries because the tips we share helped us save $30,000 a year. We were stunned to learn that, at our worst, we were spending as much as $400 a week on groceries and another $400 a week dining out. That adds up to a $42,000 of spending a year on food! 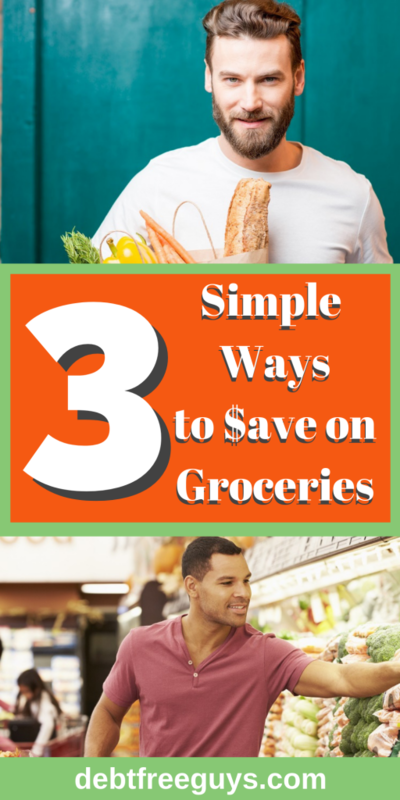 When we got real about paying off our credit card debt, we came up with three solid habits to save money on groceries. Today, we’re sharing our top three tips to save money on groceries on this Queer Money™ audience. We start by explaining how we shop strategically, taking advantage of coupons and sales at the grocery store. We, also, share the value of planning ahead by creating a menu and grocery list for the week before we hit the market. Finally, we offer insight around the reasons behind our previous overspending and discuss how limiting our shopping trips to once a week has cut down on food waste and helped us eat healthier in the process! Listen to this Queer Money™ for advice to build good habits to save money at the grocery store over time and how to save thousands of dollars every year—simply by getting a handle on your food spend! Save this for later! Click on the image below to add it to your favorite Pinterest board.